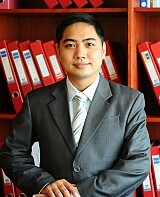 Mr. Nguyen Van Thai is a Partner of BROSS & Partners. Mr. Thai has more than 9 years of experience in the fields of litigation and dispute resolution. He mainly practices in advising on dispute resolution; acting as authorized representatives for clients in legal procedure and other legal actions; defending, protecting legitimate rights and interests of clients in Criminal, Civil, Commercial, Administrative, Labor, Family cases. During his practice, Mr. Thai has been participated in resolving dispute of more than 500 cases in various fields. His clients highly appreciate his professional expertise and ethics as well as his working enthusiasm and creativity which play important roles in affirming the quality of his work. Criminal, Civil, Commercial, Administrative, Labor, Family cases. Member of Vietnam Bar Federation. Defending the concerned party (Vietinbank) in the criminal case of “Huynh Thi Huyen Nhu” for act of appropriation/ embezzlement of money from ACB Bank and numerous customers of it. Defending a multi-national life insurance company (Prudential) in the criminal case related to its agent in Quang Ninh province for act of appropriation of money from its customer. Acting as defending lawyer for the former General Director of a state owned insurance corporation in the criminal case at the Police of Ministry of Public Security. Advising in enforcement procedure at the Enforcement Agency of Dong Hoi City and the Enforcement Agency of Quang Binh Province. “Eliminating the death penalty from crimes relating to position and economy” – Scientific Essay – Faculty of Law – Hanoi National University. 2011.